Top 5 free Android Emulator To use Android Games and Apps in Computer. Those apps is completely free to use. You may have Android Mobile but for battery problem you not play Games hardly. So as this matter what should you do ? Then see this post. 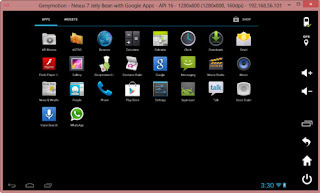 In this post I am sharing the most popular Android Emulator which will allow you to play Android Games in your Computer Windows Version. Windroy Emulator completely running using Windows Kernel. 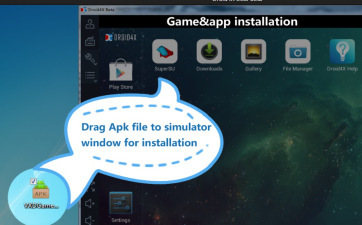 This software doesn't need any external Virtual box like BlueStacks. It is so easy to use this Emulator to Emulate the Android Apps and Games in your Computer. You just need to be care about that the directory path you install mustn't contain spaces. 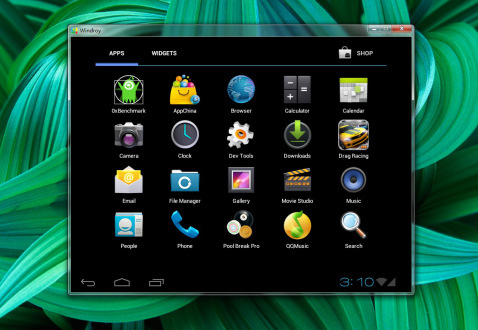 This Windroy Android Emulator works under Windows / Windows 8 / Windows 8.1 / Windows Vista. Droid4X in the newest Android Emulator to Emulate Android Games in Computer. The most important and good thing is it comes with Pre-rooted and it have also Play store installed. This Droid4X software is pretty fast and doesn't lag. It allows you to configure your Keyboard as a controller. Droid4X in the first Multi Touch supported simulator. And you will get the best gaming performance than Android. This Droid4X is Android Emulator works under Windows 7 / Windows 8 / Windows 8.1 / Windows 10. Now free download Droid4X from the official website. Genymotion is an Advance Android Emulator and worthy alternative of BlueStacks. It has advance features like OpenGL and hardware acceleration support. It's build on the x86 architecture and hence is faster as compared to BlueStacks. It can download Genymotion as with virtual box and without virtual box. Download Genymotion Android Emulator for your Computer from the official Website. To License it go here. Andyroid is one of the best and my personal choice of Android Emulator to Emulate Android Games in Computer. It supports some unique features which aren't supported on other Emulator. This software can be compared to Genymotion and it is the advance version of Genymotion. Download Free Andyroid from the official Website. Or download from here Andyroid. I personally use it to play Android Games on my Computer. To install any Android Game just double click any Android Games or on Apps. It's totally free to use in Computer. In BluStacks 2 have Play Store and you can directly download or you can use 3rd party to install Games and Software. You can Use it in Windows 7 / Windows 8 / Windows 8.1 / Windows 10 ( I use Bluestack 2 on my Windows 10 ). 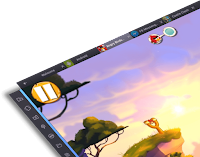 You can free download BlueStacks from the developer website. Of Free Download BlueStacks directly from here. Comment your favorite Android Emulator to play Android Games in Computer any version off Windows.